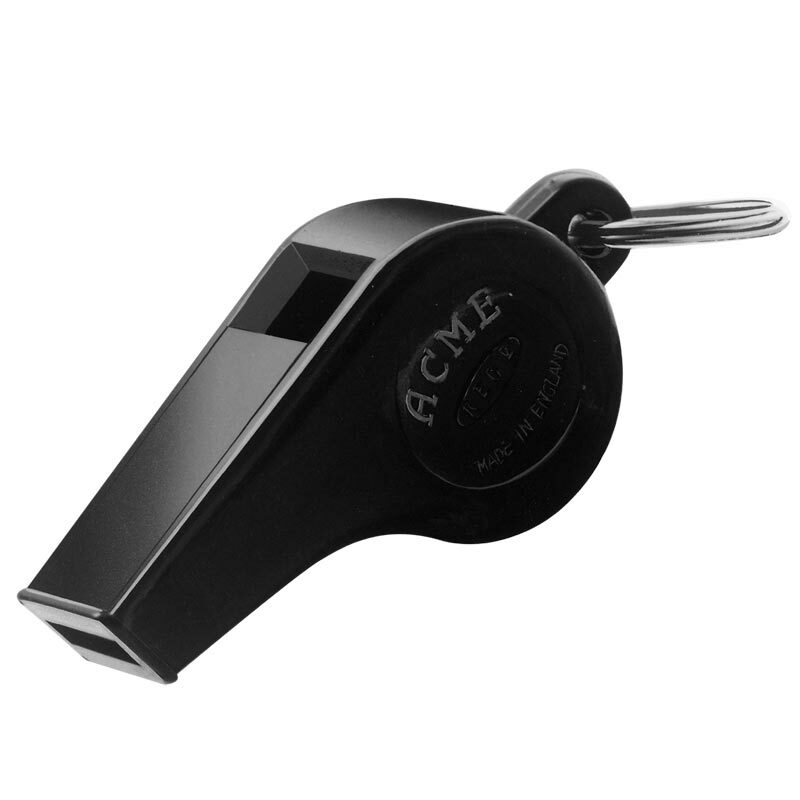 Acme ® Thunderer Plastic 660 Whistle is the easiest to blow. You only have to breathe into this whistle to get a loud sound. Recommended for anyone who is short of breath, as a safety whistle for the young and elderly. What is more this whistle has refereed F.A. and World Cup Finals!! Its power and reliability is proven with sales of over 30 million. Non-stick pea whistle, high pitch, easily blown. Dimensions: 5(l) x 1.8(w) x 2(h) cm. Preferred for soccer, rugby and coaching. there are now eight new referees using an acme thunderer...excellent! 4 out of 5 Score! Purchased for my 9 yr old who loves football and is a closet control freak, whistle works really well and is very loud. Not sure if his class mates get the same joy out of it as he does. Would be good for any adult sport/training use. It's an Acme Thunderer and it has a tremendous reputation that speaks for itself. Newitts likewise have a good reputation for good and fast service. Both lived up to their reputation. We just wanted a cheap, loud old-fashioned whistle! These were accurately described, promptly dispatched. No frills, just efficient good value product and company. The order arrived on time and given the quality of the whistle, it was money well spent. I will definitely recommend this item any day. Nice tone, fabulous volume and very compact. Perfect for me and very quickly delivered too. I would recommend this to anyone, and at Newitts price it is a no brainer. I got these whistles for a specific reason and they more than suit the purpose without costing an arm and a leg. Well worth the money. I actually bought them so that I can have one by each phone and when I get one of those telephone calls, the one's that we all hate, I play them a tune on the whistle, they soon hang up. I have coached and refereed football for more than 30 years using many different whistles over that time. This little gem is best of the lot. Crisp, loud, works with every blow as well as being light and compact, I wear two on a wrist lanyard. Wouldn't hesitate to recommend. A very useful little whistle which can be heard easily across a noisy playground. Much better than all the other cheap whistles we've tried. A bargain at the price. Whistles also work well in dog training. Whistle is audible sound when a pea to take off. The dog must stop and sit over to the tune out loud.